Do you wince in irritation when your child starts whining? 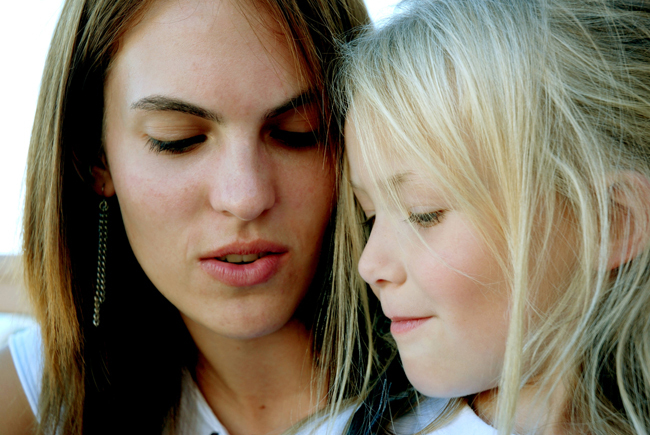 Do you turn threatening, scary, or react with impatience when your kids start fighting? Maybe you take a very left-brained, logical, and practical approach when emotions run high? You may have noticed any one of these reactions often leads to a communication fail. It can be frustrating.We think we are responding, but we're really stuck in reactive mode or only able to focus on problem solving, advising, or fixing. Addressing negative behavior requires you to remain emotional - not logical. You have to connect first and move from being reactionary and defensive to being responsive and receptive. This is a leadership skill which takes an enormous amount of self-care to develop. You'll need to have patience, awareness, and a ton of self-respect before you can find the compassion you need to lead without force. Here are some tips and ideas to remind you what you can say to remain emotionally responsive and available to help your children build skills. Bosses ask for obedience. Leaders show others how to make good decisions. Instead of making your child responsible for shifting the situation, by demanding they change their behavior, take action to address what is motivating it. Whining and crying are not manipulative attempts to annoy you. Conscious Communication Cards are available now! Save 20% before 12/31. They are stress behaviors. When we are stressed, we lose access to our language centers. We can't think or speak clearly. As adults, we might grunt, sigh, and huff and puff our way through stressful situations - and children - whine and cry. Whining won't become problematic or a long-term habit unless it is fueled by dismissive remarks, fear, or indulgence. Kids want to know that we are in control of our emotions - especially when they aren't. When they whine and we tell them they are causing us discomfort, we send the message that they are in charge. Unconsciously handing over the reins increases the fear and negative behavior. They are not equipped to handle the power that comes with that position. 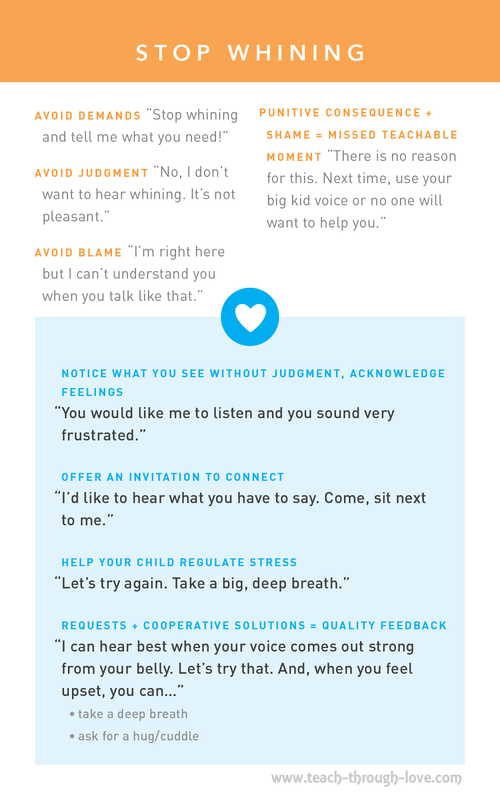 Accept where your child is (a whining stage) and help them build skills by providing a listening ear and outlets for stress. As children mature, so will their capacity to manage anger and upset. What do you think? Do you have trouble remaining emotional? What part of your self-care routine might be in need of a lift? 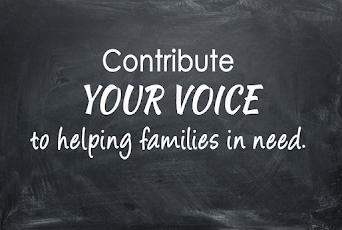 Share your story in the comments and let me know. I'd love to hear from you!